Travels With The Diva, Issue #001 -- Welcome to Our New Newsletter! 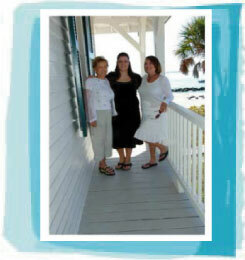 Welcome to the first issue of "Travels With the Diva", a newsletter for women who love to travel! In this issue, I'll tell you about a couple of great vacations - a women-only trip to Morocco, and a wonderful river cruise through the south of France. As I'm sure you are aware, airlines have weight limits for checked baggage, and impose fees for bags exceeding the maximum weight. Generally, airlines allow 2 checked bags per passenger, with each bag maxed out at 50 pounds (some smaller airlines have stricter limits). United Airlines recently announced that they will impose a fee of $25 for the second checked bag, regardless of weight. You can still check 2 bags, but the $25 fee will be applied to the second bag. (This fee is waived if you are a platinum-level frequent flier). The fee is the result of higher fuel charges; rather than raising ticket prices, many airlines are finding other ways of generating revenue. And this one will also reduce the weight carried by each plane as passengers cut back on baggage. A Women-Only Vacation to Morocco - Country Walkers has a women's trip to Morocco in April, with everything from belly dancing to spa treatments! Country Walkers offers extended walking tours, far beyond the usual city tour of historical sites. You don't literally walk across the country, of course; travel from one town to the next is by bus - but by touring each town on foot, you get to meet and interact with the people you encounter and get hands-on experience in the local culture. The Moroccan trip includes a cooking class, belly dance demonstrations, embroidery and carpet-making demonstrations, and a visit to a women-owned ironworks. You can have a henna tattoo or a spa treatment; one night is spent in a tent, another in a luxury hotel located in a former palace. www.countrywalkers.com or contact me for more information. A River Cruise through the south of France - There are several good cruise companies that travel the rivers of Europe; Uniworld, Viking, Amadeus and Peter Deilmann are among the best. All four have cruises that travel the Rhone River, through Burgundy and Provence. These cruises focus on the wine region, with wine tastings and experts to show you the finer points of the vintages. The Amadeus cruise includes a trip to Spain at the end of the cruise. River cruises are a great way to travel Europe. The ships are like fine hotels, and travel by ship is much more pleasant than a bus. There are many river cruises in Europe, and most travel the Danube or Rhine through Germany, Austria, and Hungary. Why not try France instead? Viking and Uniworld are offering discounts on select European cruises if booked by March 31, 2008. Check out their websites, www.vikingrivercruises.com or www.uniworld.com, for more details, or contact me and let me know where you would like to travel. Send it to us using our "Contact Us" page.